Owing to China’s rich cultural and geographic diversity, there are many unique cities across China to choose from. While the list of dynamic high-growth cities with rich cultural backdrops is quite long, there are six cities in particular that stand out as offering the most unforgettable experiences to foreigners. Knowing which city is the right for the type of experience you want is a good place to start your China journey. While Shanghai may not be as old as many cities in China, its early 20th century modern history as the leading metropolis of East Asia is apparent today. On the Pudong (浦东 Pǔdōng) side of the river in the city’s center, you can see some of the world’s tallest skyscrapers, towering statements of China’s intent to influence the global economy. Directly across the river sit architecture built by European powers who chose Shanghai for its strategic location as a port city (Shànghǎi 上海 literally means “on water”). 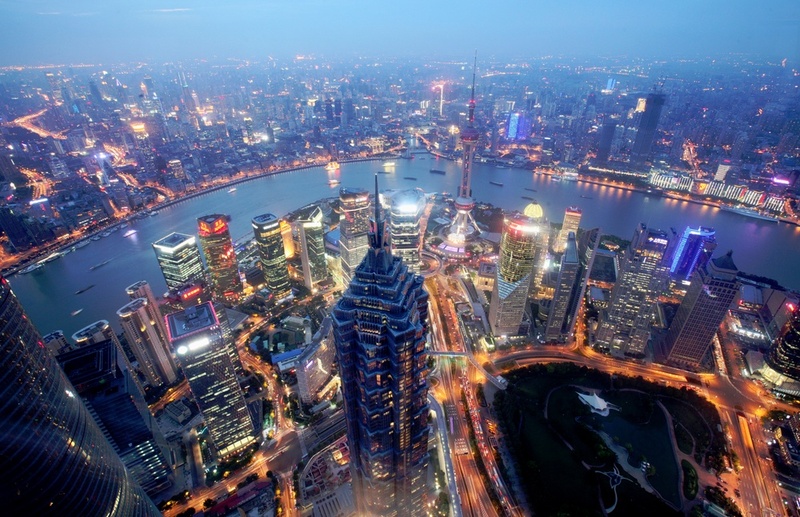 Shanghai is often described as the city that combines East and West the most naturally and successfully, giving the city an exciting cosmopolitan atmosphere. The energy of the city is perhaps most apparent at night time, when much of the city and its skyscrapers are lit up, giving a somewhat bewildering futuristic feel. During the daytime, you can explore Shanghai’s parks and temple complexes in the middle of the city or check out its vibrant modern art scene. Common to Shanghai’s modern art scene are themes from 1930’s Shanghai, when Shanghai emerged as an early example of China’s modernization. Images of the cheongsam, or modern adaptation of a traditional Chinese dress, are everywhere, demonstrating how aspects of modern culture such as women’s liberalization have played a central part in Shanghainese culture. Today, the main industries remain finance, shipping, and manufacturing, but Shanghai is a world-class city with numerous economic opportunities for foreigners in most professional fields. As its business culture is much closer that of the West, work experience and skills are more directly transferable between the West and Shanghai. For young people starting out a career in China, Shanghai is an exciting choice because it is China’s biggest and fastest-paced city. Expat packages prize significant numbers of white-collar workers away from cities in the West, as they sometimes offer upwards of $100K more than what would be earned in the US. Some of the world’s best international high schools also provide a comfortable standard of living for families, and Shanghai offers all the finest in Western amenities. Beijing is an ultra-modern metropolis that has been built around the historic hutong (胡同 hútòng) neighborhoods and landmark buildings of the ancient capital. 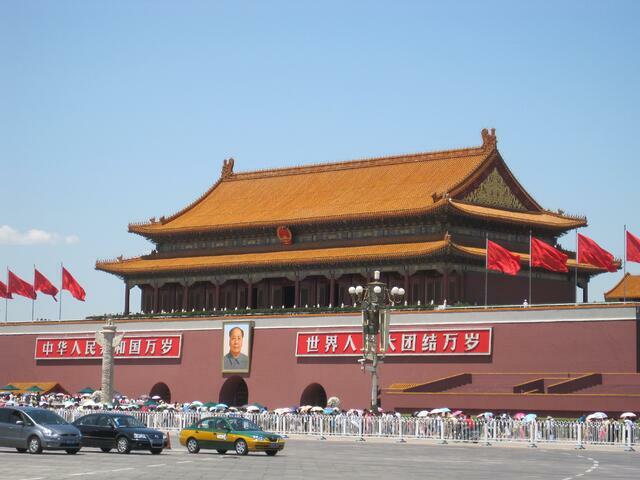 Beijing sprawls out in all directions, with the Forbidden City and Tiananmen Square at its center. The northwest is home to many of China’s best universities, technology companies like Baidu and Lenovo, as well as a startup scene rivaling Silicon Valley called Zhongguancun (中关村 Zhōngguāncūn). 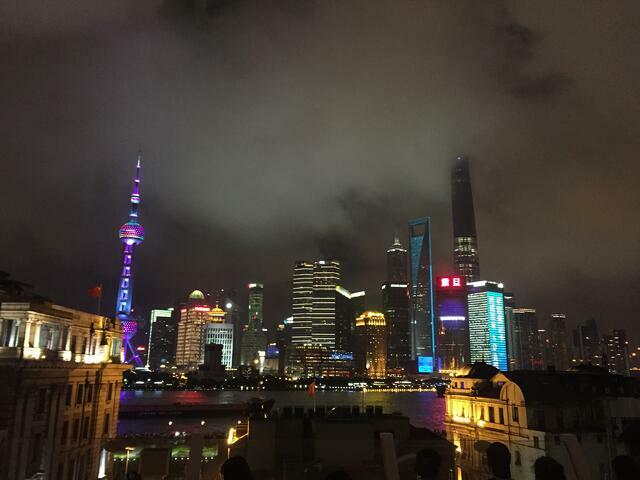 Most of the international business activity is in the east, centered around the Central Business District, Guomao (国贸 Guómào), marked by the famous CCTV Tower, where property prices have soared to the third most expensive in the world. The mix of commercial activity and embassies in East Beijing makes it popular for foreigners. Shopping centers, such as Sanlitun (三里屯 Sānlǐtún), sport a diverse selection of international restaurants and bars. However, the vintage hutong neighborhoods are a favorite of China-savvy foreigners looking to double down on the cultural experience. Unique bar scenes and hipster hangout spots are tucked into winding hutong alleys, providing interesting alternatives in entertainment. Knowing which area of Beijing is right for you is important because Beijing is a vast city with many interesting areas to explore. Regardless of which district you choose, Beijing is the best place if you are serious about learning Chinese and at the same time want to pursue a career or academic degree. The mixture of modern and ancient themes make Beijing a very interesting setting to learn Mandarin and Chinese culture. Since China has many different dialects, it is easy to see why many foreign students and professionals choose Beijing as an immersive learning environment. Bolstered by the presence of most of China’s big universities and international embassies, the expat community is very large and diverse. Due to the importance of government relations, almost every Chinese company and multinational is present if not headquartered in Beijing. Needless to say, there are thousands of job opportunities, especially in tech, education, engineering, journalism, and finance, that arise from Beijing's role as the capital of China. In my experience, Beijing is the best city if you believe learning is a lifelong process and want to take on studying Chinese at the same time as pursuing a career. Shenzhen was the first Chinese city to open up to economic liberalization in 1980, and continues to display the benefits of its privileged status at the forefront of Chinese modernization. 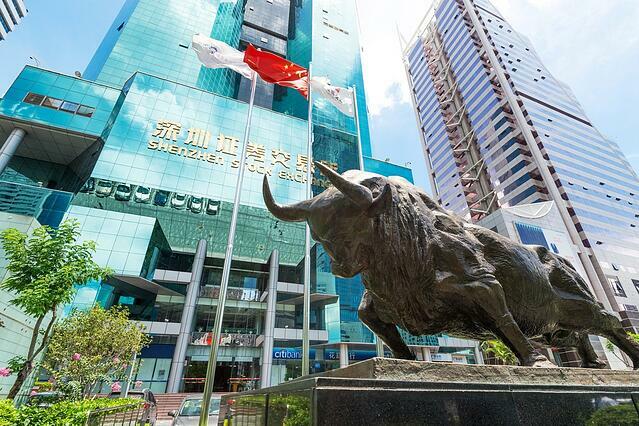 Situated right next to Hong Kong, Shenzhen’s long history of investment relations with Hong Kong has enabled Shenzhen to become a hotbed of development, especially for tech entrepreneurs. Shenzhen also has a distinct advantage in that as a center for innovation, it is naturally very welcoming to foreign talent and investment. 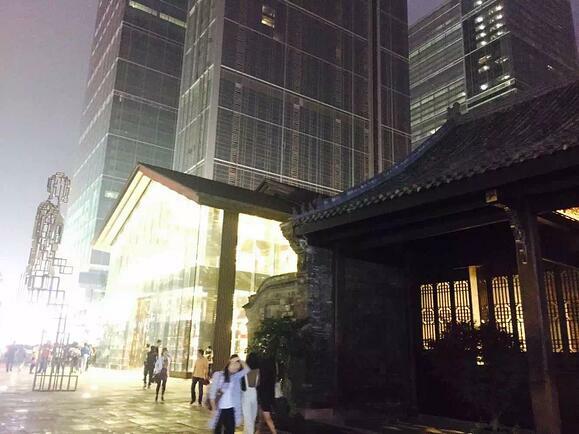 Shenzhen is relatively new, so it doesn't offer much in terms of culture or history. The residents are mostly people who have moved there for the economic opportunities, and with a population averaging age 30, Shenzhen is a very lively city and a model for the development of the international cities of the future. 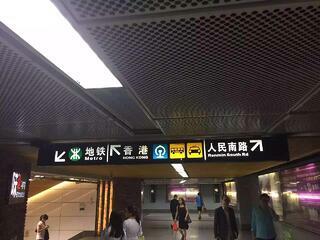 Image: Hong Kong's proximity means it's just a subway ride away. Shenzhen is a global financial center and a very suitable environment for startups, home to many of the most successful and established tech companies in China, including Huawei and Tencent (developers of the almost universally used Chinese social networking app WeChat). The proximity to Hong Kong has allowed Shenzhen to develop very rapidly over the past thirty-five years. Shenzhen has ridden the tide of manufacturing and more recently tech, as the municipality invested in creating technology parks. The manufacturing origins of the city are still broadly apparent, and Shenzhen is where the first Foxconn factory was built. However, in the past 15 years, Shenzhen’s manufacturing strength has lent itself to the startup scene, and the city is at the center of China’s shift from manufacturing to services and tech. Along with the investment environment and favorable municipal policies, the manufacturing activity in Shenzhen gives startups the opportunity to concentrate their manufacturing and business in the same location. Go live in Shenzhen if you are a techie interested in new areas of technology, you want to join a fast-paced company, or you yourself are an entrepreneur. Expect humid weather, but also convenient trips to Hong Kong and the beach. Hangzhou has been regarded over the past thousand years by Chinese (and incidentally by Marco Polo) to be the most beautiful city in the world. The famous West Lake, located conveniently within the city, is the setting of one of the most important Chinese fairytales, The Legend of the White Snake. Living in Hangzhou is both relaxing and romantic, as you can easily find a place to retreat from city life and explore the deeply rooted Chinese culture and history. Hangzhou was the capital of the Southern Song Dynasty (1127-1279), which was famed for the advanced state of its economy and culture rather than military might. Like the ancient capital, modern-day Hangzhou places a similar emphasis on its cultural well-being, and it is the best Chinese mega-city for if you are interested in the subtleties of Chinese culture. Hangzhou is historically one of China’s most sophisticated centers of tea production and tea culture, which makes for a good weekend hobby similar in a way to wine tasting. What many foreigners may not be aware of is that tea houses are traditionally places to discuss business, and the relaxing and somewhat laidback atmosphere of Hangzhou may be perplexing to many foreigners who are unacquainted with traditional Chinese commercial networking customs. As an old center of business, Hangzhou definitely has a tendency to do things a bit on the traditional side. Alibaba CEO Jack Ma famously started his company by networking in Hangzhou and leveraging the Chinese concept of relationships, or 关系 (Guānxì). All 17 of Alibaba’s initial employees were his friends, and this is exactly the same way a Song Dynasty merchant would have begun his trading business one thousand years ago. Some historians consider the Song Dynasty to actually have experienced the world’s first industrial revolution (the rate of steel production would not be surpassed until 1790 in Britain), which isn't surprising considering the success of some of these ancient commercial practices today. 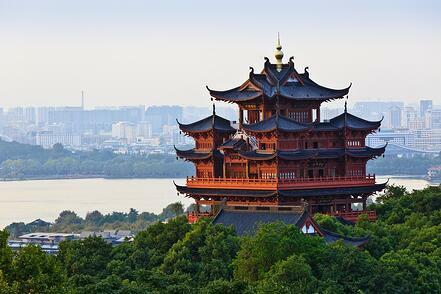 Image: Chenghuang Ge, a famous pavilion dedicated to the city god of Hangzhou. Hangzhou enjoys a critical location close to Suzhou and Shanghai, and has prospered for many years as a logistics and manufacturing hub. With companies like Alibaba headquartered in Hangzhou, the economic opportunities are not bad in tech either. If you have a penchant for Chinese history and want to benefit from the opportunities of being in one of China’s fastest developing cities, Hangzhou is the right choice for you. 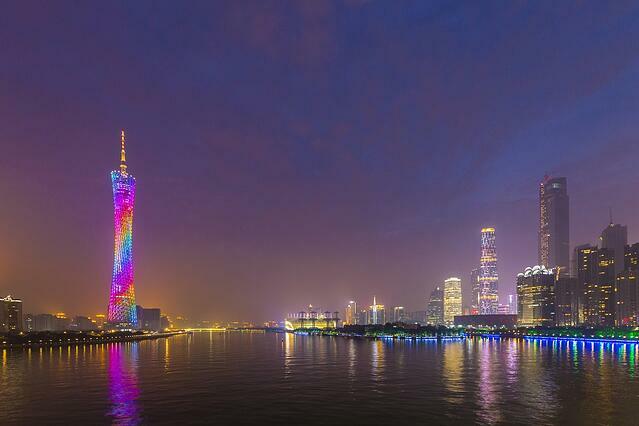 Along with Shanghai and Beijing, Guangzhou is one of the top three economic centers of China. While Beijing is in the north, and Shanghai is in the middle east coast, Guangzhou is situated in southern China. It is close to Shenzhen, but is a much older center of trade, where Silk Road shipping routes linked it to the Arab world and Byzantine Empire for many hundreds of years. Today, it is the capital of Guangdong (广东 Guǎngdōng) province, the home of Cantonese culture and language, and where commercial activity has a long history dating back to the Silk Road, when the city was the major port to the Arab world. In keeping with the Cantonese tradition of commercial activity—both domestic and international—the city is dedicated to business and Guangzhou is a natural world financial and commercial center with a very diverse and large population of foreign residents. Many foreigners come to Guangzhou to get involved in the import/export business. Guangzhou is the manufacturing hub of the Pearl River Delta, which extends down to Shenzhen, Macao, Zhuhai, and Hong Kong, and boasts some fifty million residents collectively. Guangzhou city also hosts the China Import and Export fair, the largest such event in the country. Be sure to check out the Guangzhou Circle, which stands like a giant good luck token for the local business community on the edge of the Pearl River. Like Shenzhen, Guangzhou enjoys close proximity to Hong Kong, giving it an edge over other cities in terms of international business development. There are many multinational companies which service local industries in advertising, accounting, finance, and consulting. 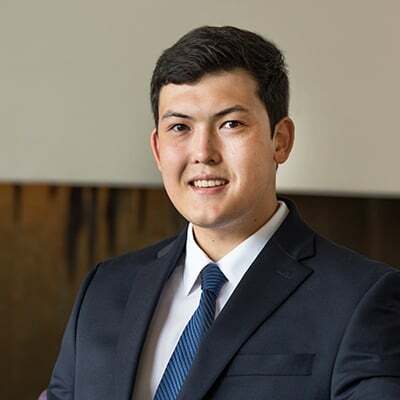 Homegrown tech startups such as Cheetah Mobile, an android developer targeting users in developing countries, employs many foreign employees to help target its products to regions across the globe. Guangzhou is also the location of the world’s most powerful supercomputer, 天河 (Tiānhé). I suggest choosing Guangzhou if you are interested in economic development, particularly import/export opportunities, or you enjoy subtropical weather. Literally meaning become (成 chéng) capital (都 in this use of the character, pronounced dū), Chengdu is the ancient center of power in southwest China. However, because wealth has generally concentrated in east China, Chengdu is in my opinion often overlooked as one of China’s most important cities. 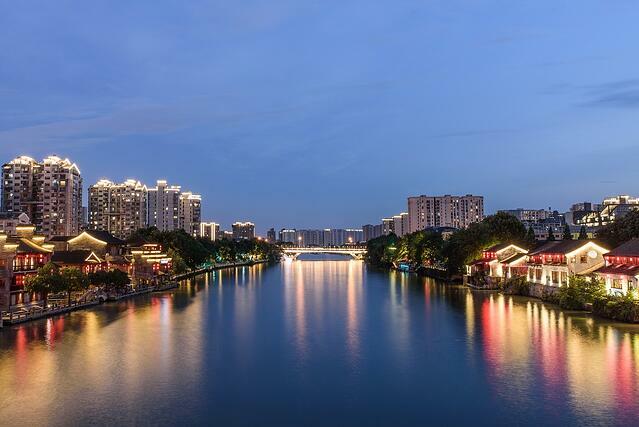 Chengdu is located in a fertile basin which has allowed it to thrive in many periods of Chinese history, and the comfortable lifestyle its people have always enjoyed is tangible to this day. When I visited Chengdu, the first thing I noticed was how fresh the food tasted. Chengdu also resonates for Westerners as an authentic Chinese city because of its bamboo forests and panda sanctuaries. The presence of Buddhist and Daoist sacred sites also gives Chengdu a mystical feel. Ancient villages, temples, and natural landmarks all within striking distance of the city make Chengdu a prime location if you want to immerse yourself in Chinese history. Visit the famous poet Du Fu’s abode, stroll through an ancient Chinese elite neighborhood, or see one of the world’s largest Buddha statues carved out of a mountainside when you want to retreat from city life. The lifestyle within Chengdu’s metropolitan is itself quite easy-going, making it perfect if you are the laid-back contemplative type looking to find your own unique experience of China. People in Chengdu pride themselves in enjoying life. Chengdu is famous for its casual teahouses and Mahjong lifestyle, as well as its notoriously mouth-numbing 麻辣（Málà) hot pot. The lively nightlife scene reflects the local appetite for entertainment, and the music played is a bit more distinctive and underground compared to more mainstream music played at more commercially-oriented bars and nightclubs in fast-paced cities. While Sichuanese Mandarin doesn't sound much like putonghua, Chengdu compensates with an authentic down-to-earth cultural experience and great natural surroundings. 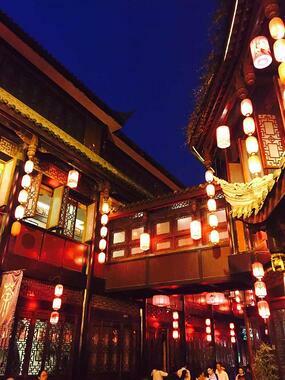 Image: Jinli Ancient Street offers a glimpse into the time-honored leisurely lifestyle of the city. Chengdu surprised many experts in 2015 when a US-based think tank ranked it above Beijing and Shanghai as the best performing metropolitan economy in China above Beijing and Shanghai. Chengdu is another city with a history in manufacturing, and its aerospace and electrical engineering industries are becoming more advanced and specialized, creating a need for industrial and mechanical engineers and business people. In addition, Chengdu’s importance to west China makes it an underrated location for career advancement. Although wages may be a bit lower than in larger cities, living expenses are also significantly lower than in Beijing, Shanghai, or Shenzhen.